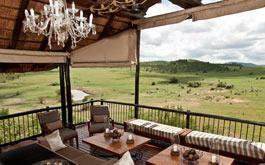 Live Availability, Special Deals and promotions, select one of our Luxury Bush lodges in the Pilanesberg Game Reserve. 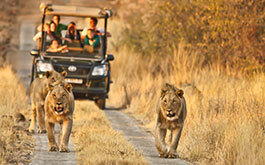 Book your open vehicle game drive now! 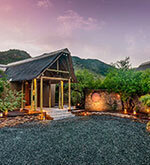 Accommodation ranges from upmarket lodges to rustic self-catering, tented camps in Pilanesberg. 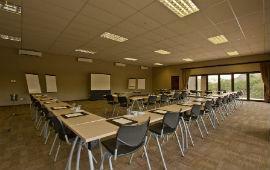 Bakgatla & Manyane Resorts are self-catering, they offer relaxation and much more for the outdoor enthusiast. 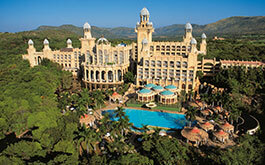 Where The fun never sets - The Sun City Resort in South Africa - entertainment for everyone, young or old. From Johannesburg take the N1 towards Polokwane. Take the N4 Rustenburg split. Signage indicating Pilanesberg left on route 91. Activities include game drives, either self-driven or guided and game walks. 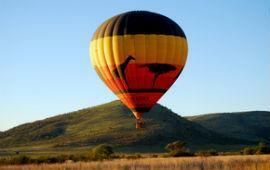 Pilanesberg also operates balloon and elephant back safari's. 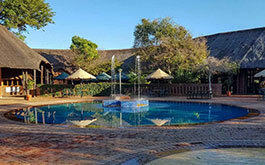 Pilanesberg offers a variety of affordable accommodation. The Tshukudu, KwaMaritane and Bakubung game lodges are also situated in the reserve. Dry Winter season in Pilanesberg is May to September, the rainy season is October to April which is Summer. Visitors to Pilanesberg enjoy the park all year.